Tags adequate sleep, aging, alcohol, antidepressant, anxiety, apnea, asthma, back injury, back pain, back problems, bmi, body mass index, brain, cancer, cardiovascular, cardiovascular fitness, chronic back pain, chronic pain, coffee, cognitive behavioral therapy, core strength, diet, ears, exercise, fitness, food, having trouble sleeping, health, healthy diet, heart attack, heart problems, inhaler, insomnia 2, joint pain, long periods, Lose Weight, losing weight, low back pain, medical conditions, meditation, mental health, mindfulness, mood, muscle, muscle aches, music, nasal spray, nicotine, nicotine gum, nicotine patch, nicotine withdrawal symptoms, nutrients, osteoporosis, pain, peptic ulcer, peptic ulcer disease, physical activity, poor sleep, poor sleep quality, posture, quit smoking, recovery, relaxation techniques, restless leg syndrome, severe pain, side effects, sleep, sleep apnea, sleep disorder, sleep disturbances, sleep hygiene, sleep quality, sleep schedule, smoking, strength, stress, stress and anxiety, stressful situations, stroke, studies show, tobacco, trouble sleeping, ulcer, ulcer disease. I thought you might be interested in this article on https://universityhealthnews.com: 7. 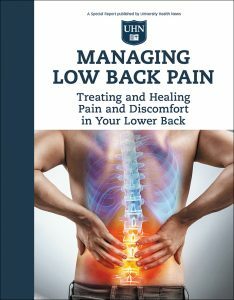 What Can I Do at Home to Manage Back Pain?